And here are the embellishments! to our embellishments & Albums. Don't you just love love love timepiece?! We sure do. Let us know what you love about it! First one to comment! WooHoo!!!! This line is perfect for me! I have a small obsession with clocks so I'm really excited about it. Loving the die cut piece and the trinkets as well! Just beautiful!!!!!! 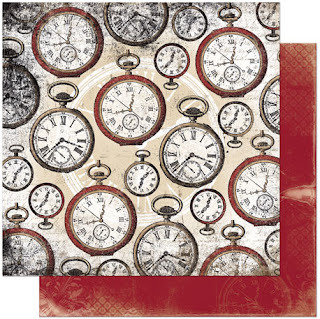 Clocks, clocks and more clocks. I can't get enough of them. Another one perfect for the family history book. I can't wait to get my hands on this line! OH MY, OH WOW!!!!! THIS ONE IS A HAVE TO HAVE!!! Every piece of paper, down to every last button!! Love the colors, love every embellie, WOWZA!!! Yes, I love it! This is gorgeous!!! Love the colors! OMGosh! I love thisline! 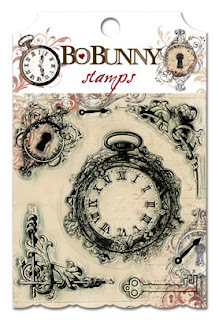 The time pieces, the stamps, the wraps are all fabulous!! I love the timepieces..I think the look of it is so much fun to add to a layout..especially because we are trying to preserve a moment in time. Super fabulous!! I do! I do love, love, love this Timepiece line!! 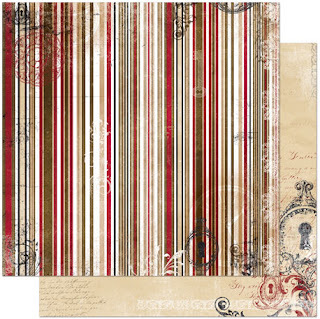 Wow..another gorgeous line...perfect for masculine pages. LOVE the diecut! Can't wait for tomorrow! Oh, this is sure a masterpiece and different line at Bo Bunny! They should be perfect for all vintage-lovers and with all those embellishments all I want to do is start inmediately to create an album or cards with those beauties! Oh I am in trouble with this one - have I told you about my clock addiction?? LOL... I have a wall of clocks... I buy them all the time! Another wonderful vintage feel line. Loving the new stuff (so my style). Way to go Bo Bunny! 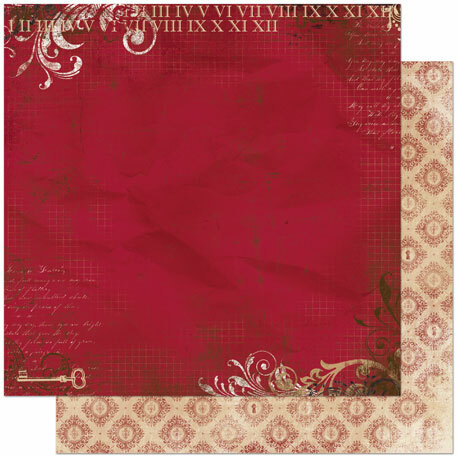 I am always looking for papers and embellishments to make great masculine layouts and cards. I see tremendous potential with this line! Gorgeous! I started looking at the papers and was thinking, What could I use this for? and then I aw the cutouts. This would be perfect for a family scrapbook for my parent for Christmas. I was getting sooooo fed up with CHA-lines I didn't even LIKE and Bo Bunny saves the day(s). This is wonderful TOO!! I heart it and the clock face paper is soooo gonna get hoarded in particular. Oh, be still my beating heart! This is the perfect paper collection for me! It's gorgeous! Beautiful line. I love this whole theme. The die cut is fabulouas as are the rub-ons. Great job! I love, love, love this paper! 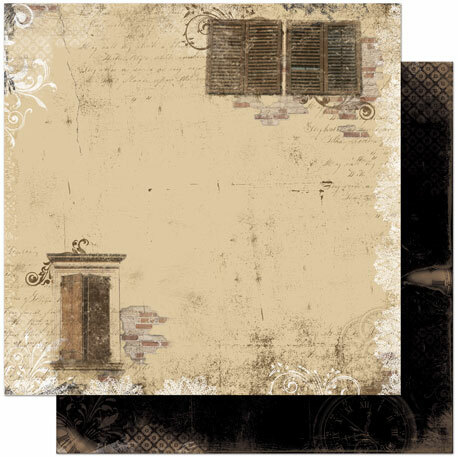 It is perfect for a masculine page or album or for a family heirloom album. Gotta have it! 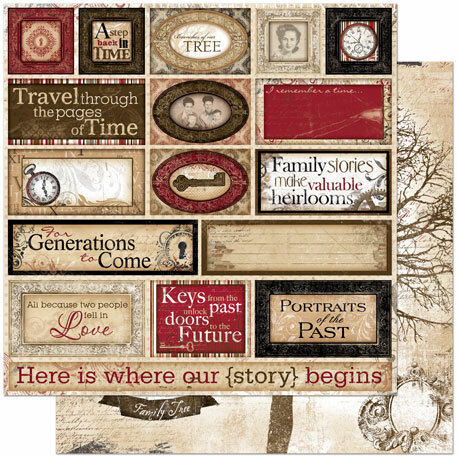 what a great collection for family tree scrapbooking, or generational scraping. Love it!! Love the timeless elegance of this line. Completely wonderful for all types of family pics. Very pretty.I love the colour of this line...gender neutral. My fav's are the brads and jewels and the flowers. The album looks cool too...can't wait to see someone post one completed! Gorgeous! So much inspiration in this little post. Can't wait to get my hands on the Timepiece collection! Oh my gosh, this is fabulous, I love everything about it!!!!! Love the vintage look - can see using this for masculine layouts and cards. Oh yes.. I like it!!! Very beautiful! I love it! The colors are awesome! Beautiful collection! I LOVE this color combo and the vintage designs and embellishments. The buttons and petals are gorgeous! What an awesome line!! I can't wait to get some for myself!! Oh my... Love those colors so much! WOW! LOVE! AMAZING! CHERISH! Those words are how I feel about this line! Absolutely timeless collection. The colors are so masculine. I'm planning vintage pages already! What do I love about it? EVERYTHING! What's not to love about it? It's beautiful! 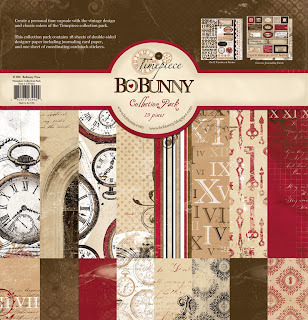 If I could save time in a bottle, the first thing that I'd like to do, is to scrap the day away with Bo Bunny's Timepiece line! This is my favorite new paper line for sure! AMAZING colors and design. My passion is making vintage type cards and this line is a perfect match for that venue! Oh, lovin' this! 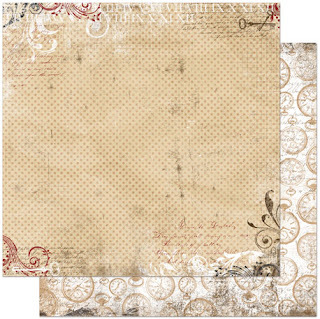 I love the papers and especially the chipboard! This is one collection I gotta have!!! 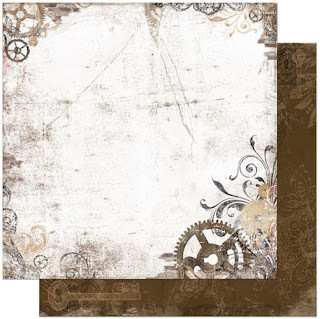 LOVE the soft, vintage colors...the paper is beautiful, and the embellies are awesome!!! Very, very pretty!! I especially love the stamps! Well, I love it all! I love the red paper with the key and the flowers! It's all beautiful though, and I think this line could be used for a lot of subjects! 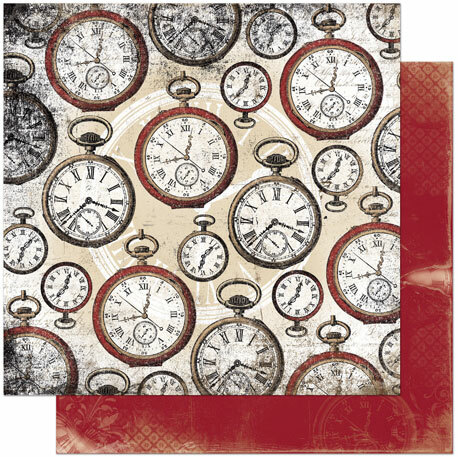 Childhood, anniversaries, and other look-how-fast-the-time's gone sort of subjects. I have always loved clocks so I am very excited! I want the mini-album, the 3D stickers and the large die cut...it's so exciting! and I've been looking for clock related papers all year! Thank you Thank you! Oh wow! These are so gorgeous! They will be perfect for my heritage photos! This line is timeless! Love it! This line of papers brought tears to my eyes. It made me think of days gone by and loved ones that are no longer here, it is just beautiful. Good job Bo Bunny. Just put two in the mail for me! I love how elegant this collection is and those flowers are stunning! wow! what a great collection! thanks for the chance! This line is stunning! There are so many gorgeous details! Love it! I am in love with every piece in this release!! The clock mini album is really unique and cute!! Holy cow! I thought that the butterfly line was gorgeous, but I think I like timepieces even more!! This is totally my colors!! I can't wait to get my hands on this line! I love the burgandy color with the ivory and black - great color choices!! Again, would love it if these papers would be offered at Scrapfest this fall!!! The brads and petals are AMAZING! I have a heritage album just waiting for this line!!! what a beautiful line for heritage! and i am a big fan of the mini albums. Gorgeous line! Especially love the colors! 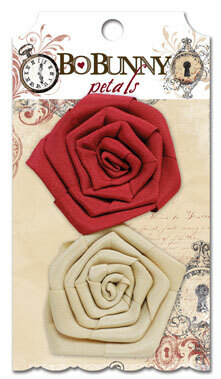 Gorgeous - the colours are beautiful and they are ideal for heritage layouts. Look like my stash diet just went right out of the window LOL!! this fits in perfectly with my obsession with time pieces and gears! It's look so amazing! I like papers, STAMPS! Just gorges! oh this is just beautiful. love the colors and the timepiece motif. Fabulous new line! So deliciously vintage and I love the colors!!! Love this! It would be perfect for a heritage album. Love, love, love!!!! Truly gorgeous!! Oh my, oh my, oh my!!! I am loving this line! ! 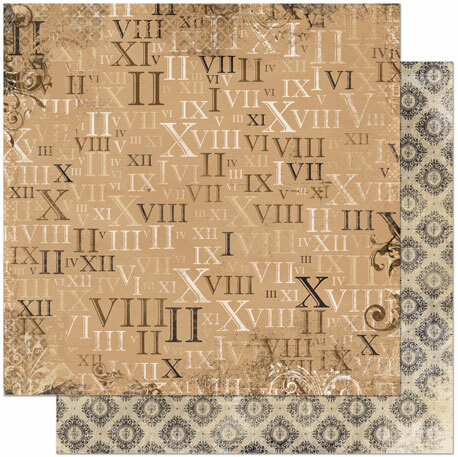 It's vintage and modern and edgy all at the same time! Plus I never usually go for coordinating embellishments for a line but these are fabulous! Great line! I am in Love <3!! This is going to be my favorite Bo Bunny line. Woooow. Clock´s I love all of the paper line!!! Very elegant. Love the clocks and the colors are gorgeous! I love it all! This line will be perfect for all those Heritage layouts I need to make. I love the little keys. I've died and gone to heaven... I love the colors, the design elements, the embellishments...I simply LOVE it all! Another great one! I love the color tones and the die cut paper! Very nice. Oh, this is perfect for my boy pages. I LOVE everything about this collection! The colors, the design, the vintage feel! I love every embelly too! GREAT Line! I love it - very elegant and defined without going overboard. I too like the richness of the color and the flexibility this line give us to do masculine things, heritage things, teen boys, some of the holidays would work with this,...love it and it is now on my "gotta have" list! wow what a great unique new line love it. Beautiful! This will be perfect for all my European photos! 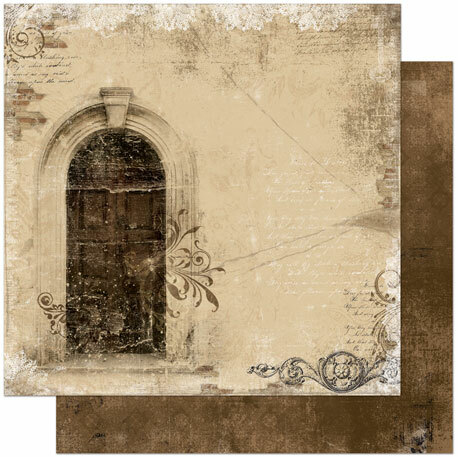 I'm obsessed with doorways and entrances, and was delighted to see this in your new paper line! The windows and shutters are also gorgeous! 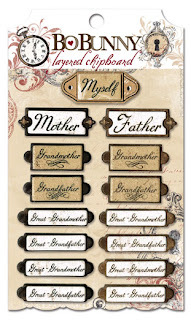 I have always wanted to do a family tree...this new line is just the inspiration I need to get moving on in! It has been a while since I have been "WOWED" by a line ... this is absolutely wonderful!!! Fabulous! !I realli like this vintage line!! The colors on these papers and embellies is soooooo YUMMY!!! And the clock album - Simply gorgeous!!! I know Christmas has past, but maybe, JUST MAYBE, Santa has 1 more stop to make . . .!!!! Love the line!! Perfect for Dad & Grandpa pages. Oh! My! Goodness!! I cannot even begin to tell you how AMAZING I think this collection is! It's just gorgeous! 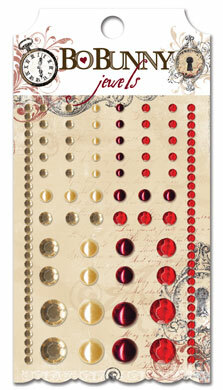 I am in love with the papers and all of the embellishments! I cannot wait to buy it ALL! LOVE IT!! Wow! I love everything about this collection! I have to have it all!!!! Love all the embellishments this line comes with! Beautiful collection. I can't to use it!!!! I absolutely love this line! Can't wait to get my hands on the clock mini album. Wow - another amazing collection! I just love the trinkets and the chipboard pieces look so real! 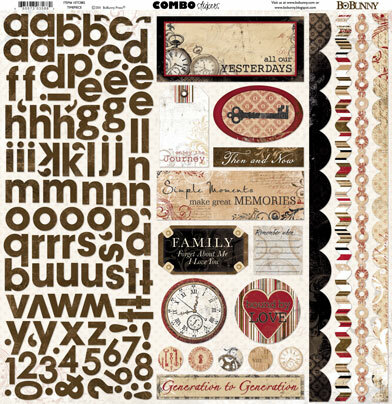 I love the diecut; I also like the brads and jewels, and the paper with the door on it -- SO many ideas for that one! Very exciting stuff from Bo Bunny! Wow! I love the beautiful vintage style of the papers and the really imaginative embellishments that are just so Bo Bunny. BUT, most of all, I love the theme of Timepiece. 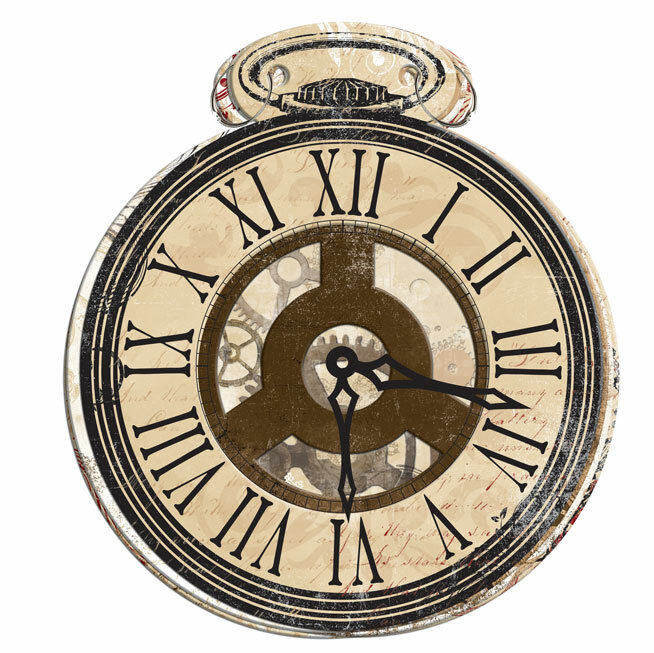 I'm doing "One Little Word" with Ali Edwards this year and my word is ..."Time." Pick me, pick me, please! love that line. Would be great for the steampunk pics I got at dragoncon this year. 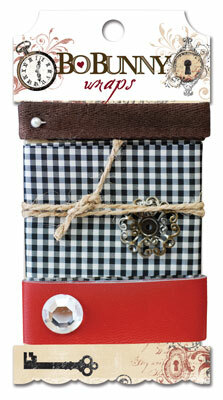 i like to combine the brown paper with blue, i think that looks great, i also love the ribbon! This is on my HAVE TO HAVE list! Love the vintage look and all the clock. 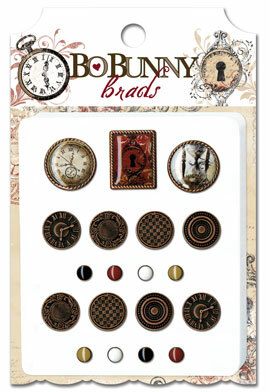 The trinkets and embellishments are awesome! OOhh...you've done it again! That diecut and all the embellishments are especially fab! Wow i just love everything in this line!!! I am totally digging this line. It's fabulous! I LOVE THIS LINE! I love every little piece of it. I want it all!! :) I would love to use it on my family history scrapbook I have. I heart you Bo Bunny! What a gorgeous collection! I love how elegant and versatile it is! The line would be great for a heritage album that I have started. Everything in this line goes together so nicely! Thank you!! Oh so awesome ve it all!! Love the clocks and the soft colors. Oh my goodness - this is freakin' GORGEOUS! Awesome! I am thinking clocks will be the new 'fad'! Starting to see more of these type of images! So pretty and so versatile! Oh SWOON! The vintage look of this is just beautiful! this is soooo beautiful!!! I just adore this line!! WOW! I've been doing vintage projects lately and this line is PERFECT! Love it! Thanks for a peek! 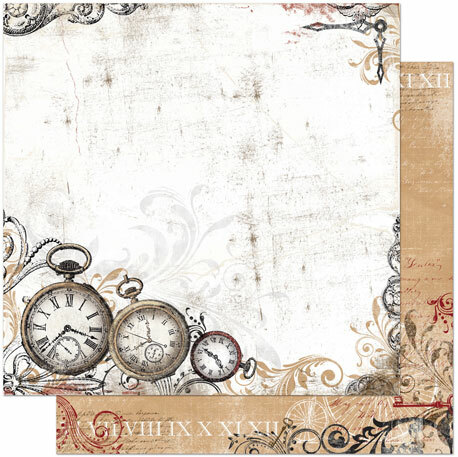 The papers and clocks are so lush.. love the colors and embellies.. really fabulous line! Ohhh! !Such nice papers...love the colors!! and the clocks!! Awesome!! I LOVE this line -- I'm starting some heritage photos and this would be PERFECT! When is it available in stores? I can' choose what I want more, 'cause I want to buy everything from this collection!!! this is a must have on the time piece collection. Awesome, awesome, awesome!! You guys put out such great stuff.........I love it!! 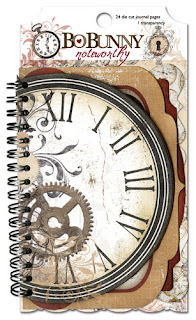 Timepieces became my obsession awhile ago, I have several papers, embossing folders, gear embellies, stamps, all featuring that style. And here you have gone and put out a line that has EVERYTHING I could possibly want ! I have pictures of my ancestors dating back to the late 1800'ss, and this line would be SO perfect for their album ! How soon before it comes out ? I bet it will fly off the shelves ! I LOVE this collection. The die cut,3D stickers, and the mini album seem to be calling my name. Can't wait to get my hands on these. BoBunny - I heart you!! This line is gorgeous. I can totally see myself using this for some old family phots I came across the other day. Love Love LOVE it!!! Love pocket watches so this is so awsome, can't wait to get my hands on it. These are beautiful!! Gabrielle remains my favorite but this is very nice too!! Wonderful! In this steampunk times, this is the perfect line to use for that style. I love the muted colors and the gorgeous swirls everywhere! Absolutely amazing! 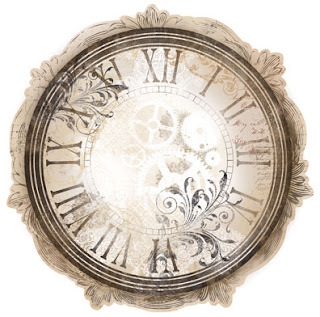 Let me tell you why, My "little word" for this year is TIME!!!!! I love the vintage feel to the Timepiece collection. I want it all!! Love the colors! This collection is to die for!!!!! I want it and I want it now!! These are GORGEOUS!!! I love the vintage feel of this line! love timepiece line!!!!! !the clocks are so amazing!!!!!!!! the trinkets are awesome!! and of course, since I'm a paper hoarder, I'm digging all the distress-ness of it all. love love love the whole line especially the clock album mini albums are my weakness great line! Oh. My. Goodness. I LOVE everything about this line and the whole idea behind it. Those embellishments - WOW! 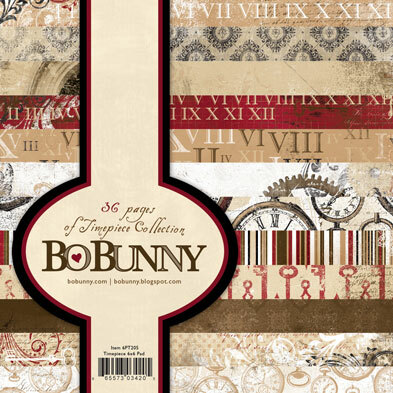 Seriously, Bo Bunny is going to be taking a big part of my scrapping budget again!! Love the line. Best times are spent with families. these are as beautiful as the Gabrielle line! 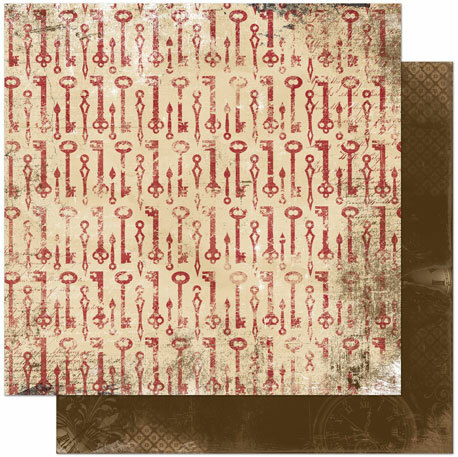 i love, love all the embelishment they look so rich and full of textures. thanks again for the chance to win. Wow! I am loving all of your releases - they are just fabulous! Oh MY!!! I *heart* the clocks!!! I gotta have ALL the goodies to go with it!! wow, this is so pretty! love it. Very classic and vintage. Nice. Love the embellies. All the deep rich colors and beautiful images are just fabulous! Another lovely collection! How can you do it two days in a row? I am in love! The papers are gorgeous and I can see all kinds of ideas already! I love the colors on this one!! oooh, very nice! Feels alot like Mama-razzi, which I adore! 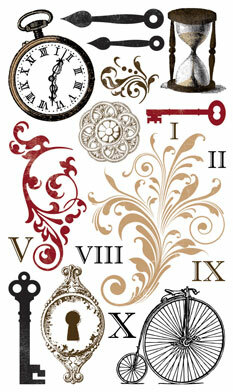 Love the clocks and the new embellishments! I love the timepiece collection. It gives me such a felling of nostalgia. You asked what I love about your new Timepiece Collection? I love EVERYTHING about it! The papers are so beautiful! The trinkets are AMAZING!The stamps are just out of this world! The die cut is not only beautiful but so unique! Masculine and feminine ate same time.. . Hard to do, but you made it lovely. What do I love about it? EVERYTHING! I love it, so different these lines. And I adore all the embellies! O, I can't wait, I can't wait! This is lovely. 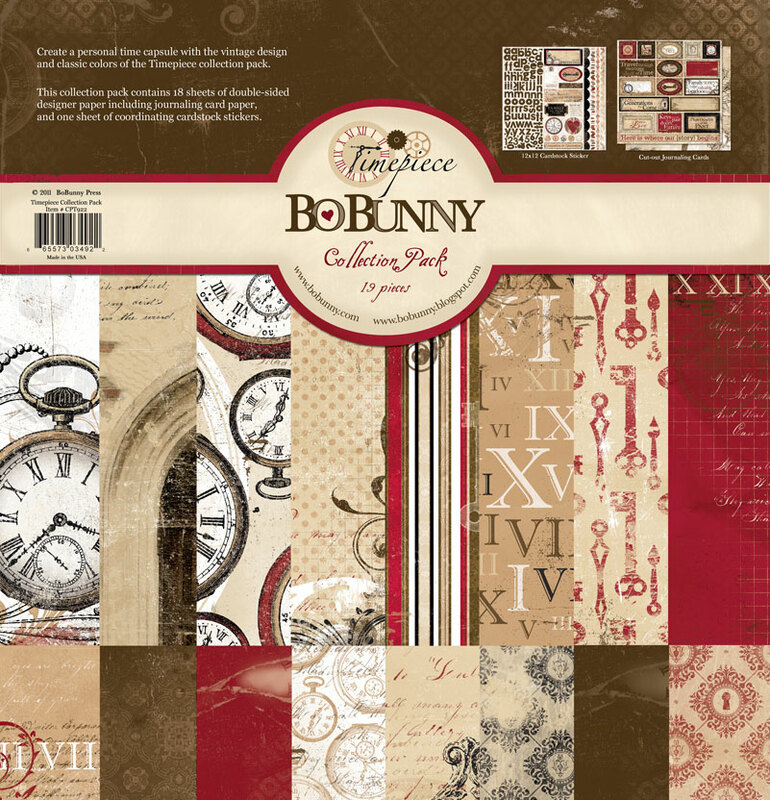 I like the colors, I like the theme (sooooooo perfect for scrapbooking, almost every occasion has a "time" suspect in it) and I loooooove all the embellishments you created along with it. I want to have it here, I want to hold it and work with it. Yummie! Just decided last week that clocks would be my theme for the year! Now you've gone and made my job easy! Thanks--love everything! Gorgeous! I adore the stamps! I love the colors - so rich! Timepiece, what a line! I want it! K!!!! I LOVE THIS!!!! the colors and designs are sooo pretty and timeless!!! Love is this paper line! I am in heaven!! Absolutely gorgeous!! Love it all, want it all! Absolutely gorgeous!!!!! Love the pocket watches and the vintage feel to this line. Just looooooove clocks and watches! Gotta have this line! I just L O V E Bo Bunny!!!!! So super duper awesome. The card pack is an awesome idea. Beautiful range!! If there is something we could all use more of, it's TIME! :) I love, love, love this line. I have tons of photos, documents and keepsakes of my grandparents and great-grandparents and this is the line for putting it all together in an album! Thanks for this one... you didn't know it, but you created it just for me because it is just what I have been looking for! OK, not that there has been any Bo Bunny I haven't wanted, but THIS is another one going on my MUST HAVE list. I have the project already in mind for it! Wow, I love this. 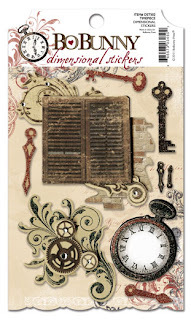 I have a thing for clocks and keys and beautiful vintage colors. 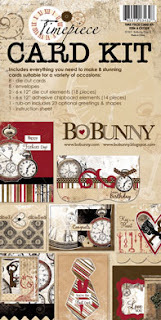 Love the die cut and the stamps. Love the stamps. Stunning line,looking forward to this arriving in the shops. Love it!!! Love the colors!!! Oooooh this is stunning - I am loving your new releases!!!! Oh wow, this is amazing!!!! I love it!!! The colors and the clocks, gorgeous!!!! 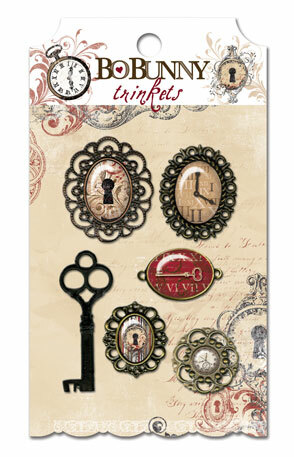 The trinkets, just got to have them!!! Oh my goodness, I have to have all of it! My husband's uncle built clocks of all sizes and we have numerous photos of him at work in his shop along with his works of art. Perfect for a Heritage themed piece! Gorgeous, vintage beauty! Wow... this line is stunning! So far so good Bo Bunny! You've hit it out of the park again this release! This would not normally be "my style", but I can't wait to get my hands on it and do some layouts of my father(who is gone nearly 7 years). The rich colors are amazing! 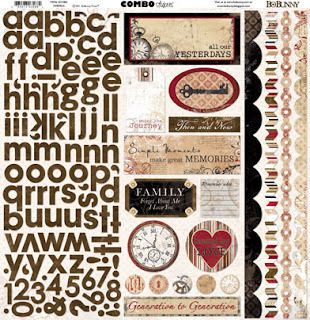 I think I love it all, but mostly the stamps because I could use them in so many ways! 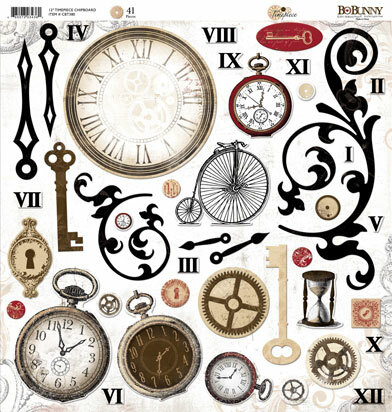 Great collection--I like the old watches and keys.